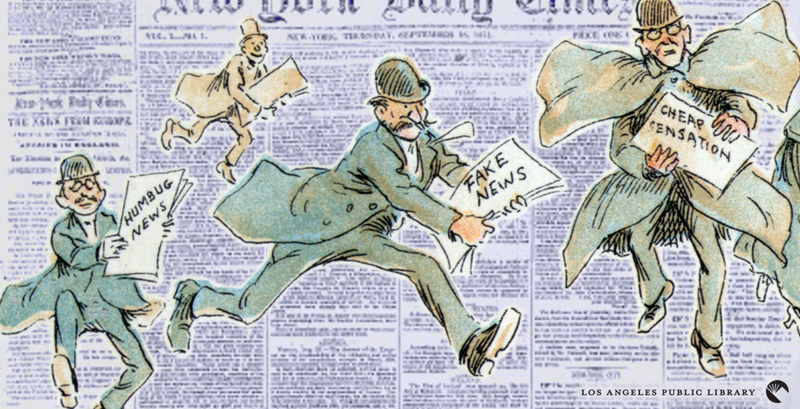 With our increasingly connected lives on the internet and social media, it can be more challenging than ever to decipher what is fake news or not. Fake news stories claim to be fact-based reporting, but instead are actually false, misleading or inaccurate. Finding credible news isn’t always easy. Combing through Google results can be confusing and time-consuming. Additionally, just because a site is in the first page of results, doesn’t mean it’s necessarily informative, useful or reliable. Because finding reliable and quick information online is more crucial than ever, the library is here to help with all of your news and information needs. We provide digital resources that can help you evaluate online news and access reliable publications. You can do all of this from the comfort of your own home too, at no cost, with a library card! In fact, one of the key benefits of having a library card with us includes getting full 24/7 access to online magazines and newspapers. The New York Times and The Los Angeles Times plus many more publications are available anytime, anywhere, with a library card number and PIN (last 4 digits of your phone number). Check out this page highlighting our online national and international newspaper collections. Additionally, if you were ever wondering how to vet and evaluate what is a true online news item or not, we can help you with that too. Take a look at our librarian curated list of Journalism & Fake News online resources. This list covers timely topics such as how to broaden your news perspective, or how to evaluate the news, and more. With your library card, you can be assured that you have access to high-quality sources and assistance with finding accurate news stories. Start searching today with confidence! Contact us for more assistance with accessing any of our digital news sources.